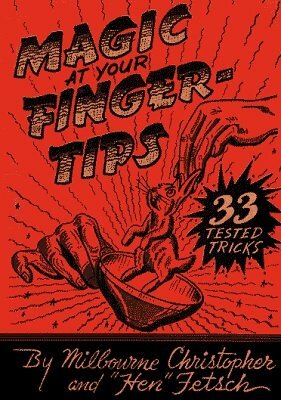 Magic at Your Fingertips features chapters on close-up conjuring, mental magic, card feats, sorcery with silks and a wide assortment of unusual variety magic. It contains new and delightful wizardry for stage, intimate work, platform, night clubs, casino showrooms and hotels. The 33 tested effects are enlivened by Walt Kaeber's illustrations. Sid Lorraine wrote the sparkling Foreword. 1st edition 1947, PDF 66 pages.